Study’O is made for you: Our Study’O residence Bordeaux Garonne offers the choice among 120 apartments, your rental studio in Bordeaux, carefully furnished and decorated. 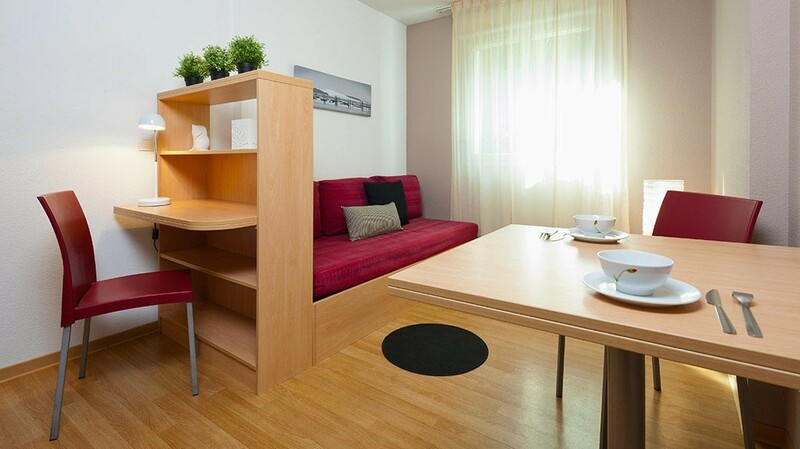 You can choose the size of your accommodation: from 19 to 36 m², choose the apartment that suits you most. Our Study’O residence Bordeaux Garonne is ideally located, close to the schools of Bordeaux Chartrons, to a tram stop (stop Achard) and to the new place to be for students in Bordeaux. All our studio rentals in Bordeaux offer a kitchenette, a sofa bed (140 x 190cm), a desk area, bathroom with shower and toilet, and a broadband Internet connection to make you feel at home as soon as you move in. Don’t wait any longer and fill out your inscription on-line now, to get your studio rental in Bordeaux as soon as possible!